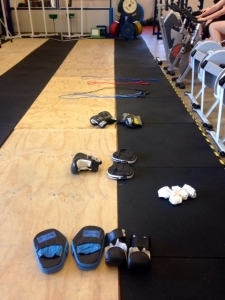 Tabata is a style of high intensity interval training working on a short-rest protocol. 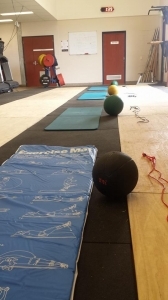 AOH Tabata group sessions are fun and varied in a safe and supportive environment. Conducted by an accredited exercise physiologist, AOH Tabata will push you to improve your power, strength and cardiovascular endurance. High intensity intervals are also the perfect to push the body to adapt by increasing metabolism, fat burning potential, insulin resistance and mood! AOH Met Rx (Cardio) – Designed to improve your cardiovascular fitness through sustained medium intensity exercise. These sessions will include the utilisation of: Treadmills, Rowers, Stationary bikes, Arm ergometers, Running track and football fields Boxing Participants of these sessions can expect to see improvements in Vo2Max and aerobic capacity. 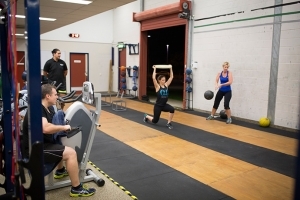 Sessions are designed for all levels of fitness as individuals will set their own pace. Research has shown HIIT sessions to increase lean muscle mass, increase free fatty acid metabolism, improve blood glycogen regulation, improve musculoskeletal function and increase both anaerobic and aerobic capacity.